The upcoming Arrowverse Elseworlds crossover is quickly becoming a major event for fans. Every day brings at least one new tantalizing image, if not more. 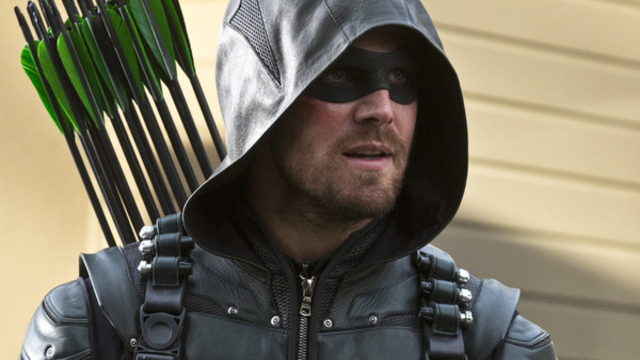 Now, Arrow star Stephen Amell has added another intriguing teaser on his official Twitter account. “No big deal.” As if seeing John Wesley Shipp in his original Flash costume is something happens every day. For the last five seasons on The Flash, Shipp has played Henry Allen, father of the titular hero, and Jay Garrick, the Flash of Earth-2. But in 1990, Shipp played Barry Allen in The Flash TV series on CBS 1990. He was 35 years old at the time, and 63 years old now. The modern day Flash, Green Arrow, and Supergirl are not only are young enough to be his children, but they look like children next to him. Shipp is an absolute comic book page come to life in this image. It’s so perfect, we can almost forgive the black boots. Almost! Bringing in Shipp’s classic version of the Flash with the rest of the Arrowverse raises an important question. What other classic DC inspired shows could also appear in the crossover? Lynda Carter is already appearing on Supergirl, so Wonder Woman isn’t out of the question.. Black Lightning is on the outside of the Arrowverse, but a crossover with the rest of the shows feels inevitable. Perhaps Batwoman could even run into her friends from the 2002 Birds of Prey TV series. Are you excited to see John Wesley Shipp back in action as the Flash for the Elseworlds crossover? Let us know in the comment section below!